I still have a hard time believing my little guy is three! They grow too fast! Last Saturday was such a beautiful day that we ended up having Bryson's birthday party outside at a park. He had such a fun time. I wasn't able to take too many pictures, so unfortunately this is all you get. 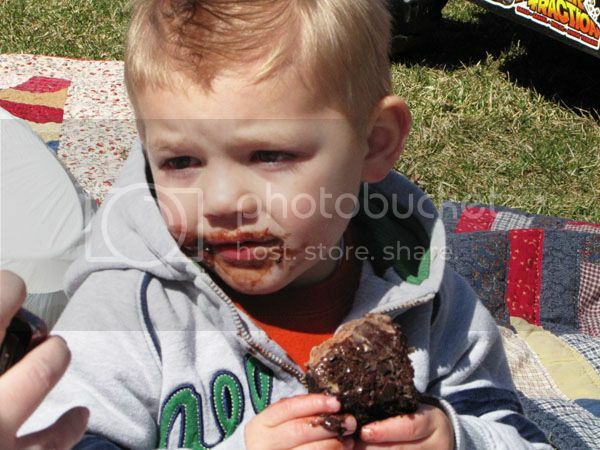 We bought him a really yummy ice cream cake that ended up being so frozen you couldn't eat it with a fork, so Bryson decided to just pick it up and eat it like a cookie. Yummy.